The State visit by French President Emmanuel Macron to Washington dominated the news this week. The main media interest ranged from the Iran nuclear deal and the Paris agreement to presidential handshakes and the symbolism of dinnerware. But under the radar, another important issue was on the Trump-Macron agenda: US support for an ITER Project that is on track for success. France is not only the host country of the ITER Project; it also funds about 16 percent of the overall project cost—more than any other single nation. This means France is heavily vested in ITER's well being. Even more importantly, as he emphasized during his address to the US Congress, the French President places high value on scientific discovery and technological innovation. He is a strong vocal advocate for a clean energy future—underscoring the value of ITER. 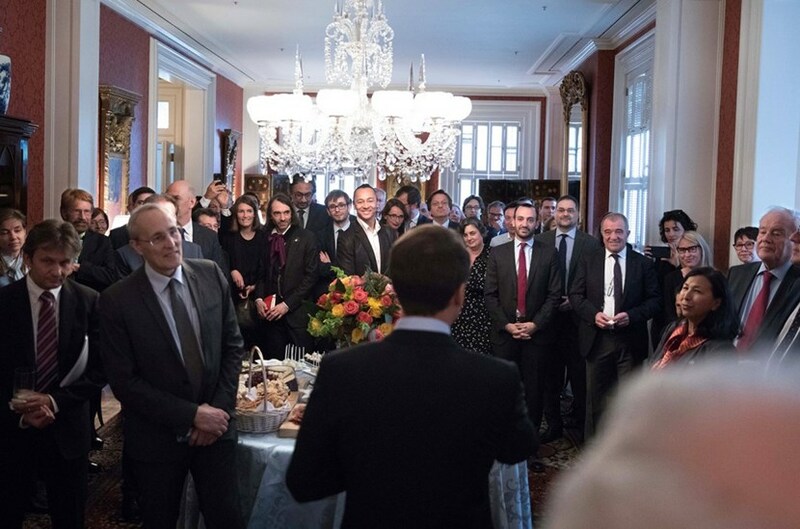 As a clear signal of ITER's priority, President Macron asked ITER Director-General Bernard Bigot to accompany his presidential delegation to Washington. On Tuesday, in his speech at the French embassy, President Macron singled out ITER as an example of how large cooperative projects and common initiatives in the field of science can be used to build and strengthen bilateral and multilateral relationships among the ITER Members. The ITER Director-General was asked to participate in meetings with President Trump and the US Congress, and built on these discussions in his interactions with Secretary Perry and other US officials. The time was well spent; the discussions were fruitful. According to the ITER Director-General: "It was clear from President Trump and President Macron's statement that both countries remain committed to maintaining global leadership on nuclear energy, including advanced nuclear technology. In that context, they stated that the US and France will support the ITER program and related scientific cooperation projects."